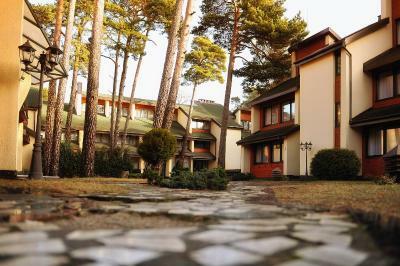 Lock in a great price for Palanga Park Hotel – rated 8 by recent guests! Price was really good for what you got. There was a good Turkish sauna and there was a lot of room in the selected cottage. Staff lady was very nice and helpful, the location is excellent. There were two TVs and good WiFi in the selected cottage. I really like the location and the property itself; it's really chill. Amazing location near the park. Room is small, but tidy and clean. Stuff is helpful WiFi is present, but sygnal is poor. The location is perfect for a relaxing few days - quiet, but not too far from the city center, close to the beach and the botanical gardens. The room was not big, but had everything we needed, including a kettle and a fridge. Breakfasts were very nice. We also loved the Fairy Tale park (Pasaku Parkas) nearby, with simple interactive panels installed that tell Lithuanian folk tales, in Lithuanian and English. 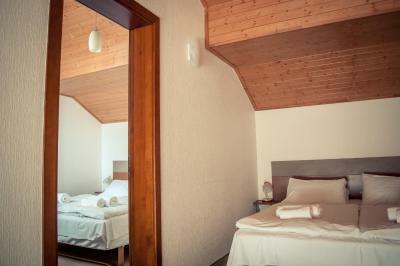 The hotel is at a very good location, a short walk from the beach and city's attractions. Excellent location (park is across the street, beach is nearby). Nice and quiet location, good breakfast, the beach is just 300m.walk. Close to center of the city and very nice park just across the street. Convenient access for travelers who like bicycles. 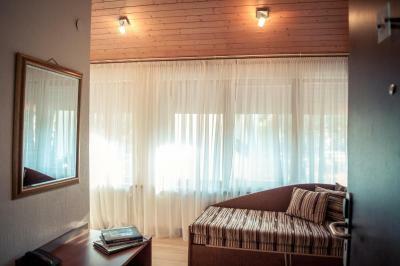 Location is superb: close to everything you need and away from the noise of Basanavicius street. The beach is also close nearby as well as Pasaku Parkas and Birutes Kalnas. Some nice restaurants are close as well (Vandenis, for example is both close by and very good). Room service was good. 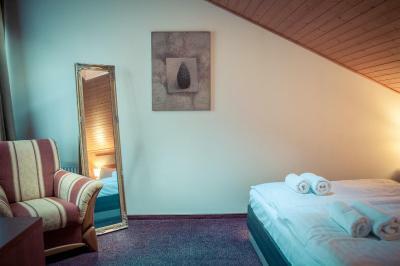 Palanga Park Hotel This rating is a reflection of how the property compares to the industry standard when it comes to price, facilities and services available. It's based on a self-evaluation by the property. Use this rating to help choose your stay! One of our top picks in Palanga.Located in Palanga, only 1,000 feet from the beach on the Baltic Sea, 3-star Palanga Park Hotel offers rooms with a cable TV, refrigerator and an electric kettle. All have a private bathroom. The rooms of the Palanga Park Hotel feature a basic interior design with walls painted in pastel colors and wooden furniture in warm tones. Some include work desks and seating areas. 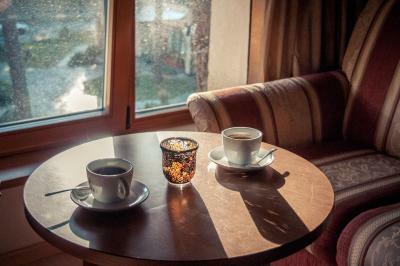 Guests of the Palanga Park Hotel have access to the hotel’s sauna, steam bath and hot tub. It also features a massage parlor. Bikes can be rented directly at the hotel. The hotel’s restaurant serves Lithuanian and international dishes. In the mornings a breakfast buffet is available. The Amber Museum is 1,300 feet from the hotel, and the botanical garden is just across the street. Basanaviciaus Street is within 2,650 feet. 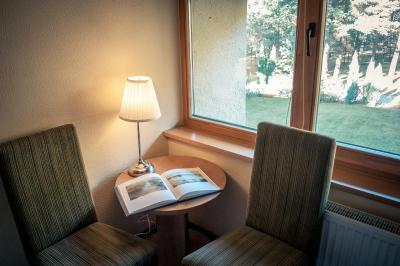 When would you like to stay at Palanga Park Hotel? A room with a private bathroom and cable TV. 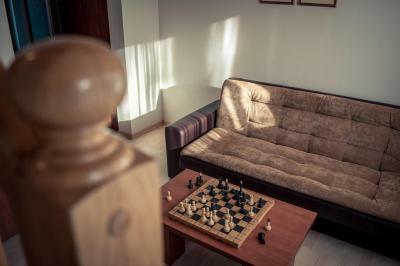 A spacious apartment with a kitchenette and a sitting area. A spacious cottage with a kitchen, kitchenware and a sitting area. 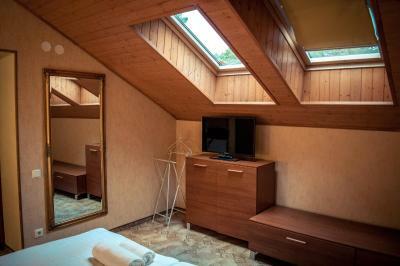 A room with wooden ceilings, a bathroom and cable TV. 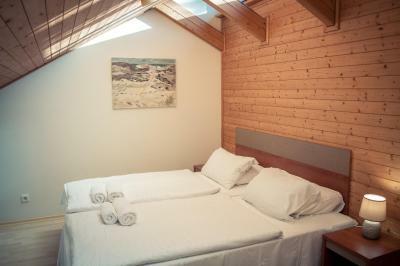 This single room has a sauna, cable TV and electric kettle. This family room has a balcony, kitchenware and sauna. 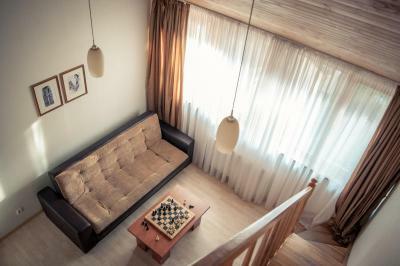 House Rules Palanga Park Hotel takes special requests – add in the next step! Palanga Park Hotel accepts these cards and reserves the right to temporarily hold an amount prior to arrival. Good location, quite place off season. Almost none of the facilities & amenities mentioned were available. The hotel was difficult to find, especially the main entrance, due to snow which was never cleared, making getting out to the pavement for a taxi very difficult. It was a long walk!! Only thing provided was breakfast, nothing else. Central heating very poor but an electric heater was provided in room. We missed kitchen tools in the room. As we visited in winter the cottage was cold. Outside temperature was not particularly cold but it inside was quite uncomfortable despite provided electric heater. Also the sauna was broken at the time of our visit, which was one of the reasons for choosing this hotel. The room was humid without any reasonable ventilation. Good choice for the breakfast. Accommodation standard came from "soviet" time, need to be renovated. Breakfast is worse (for same price) as at hotels around. In the rooms was bit too "fresh". If its windy weather feels cold in side. 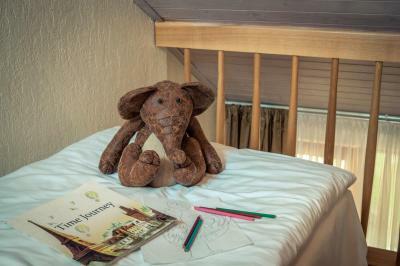 We liked everything- friendly receptionist, clean rooms and safe area. Thank you!